The Williamston spring sports schedule has been released. Select the link to learn more. DK students with help from students in their fifth-grade buddy classroom welcomed visitors to tour their Natural History Museum. Student docents escorted visitors throughout the museum, showcasing their knowledge of Ice Age mammals and dinosaurs. Select the link to see a collection of photographs from inside the museum. 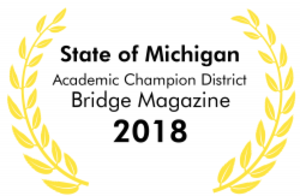 Two Williamston High School students have had their original research published in the most recent edition of Technology & Innovation. The journal is produced by the National Academy of Inventors. Find out more and read the article by selecting the link. 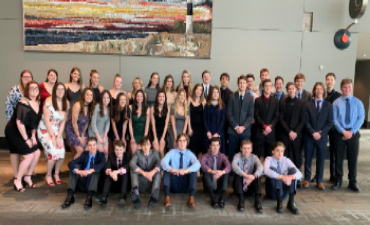 Thirty-nine WHS students competed at the Business Professionals of America State Leadership Conference in Grand Rapids. Several students earned individual and team recognition at the event. Select the link to learn more. 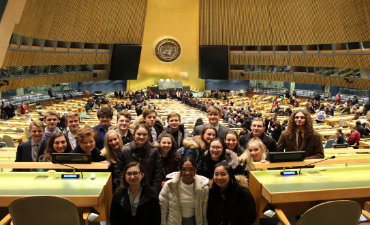 The Williamston High School Model United Nations Team completed an outstanding 2018-2019 season by distinguishing themselves at their final conference hosted by Michigan State University. The team also visited the United Nations in New York City. Select the link to learn more. 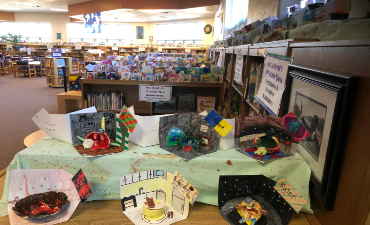 Over 800 student created ceramics projects are being displayed at the Discovery Elementary Library. 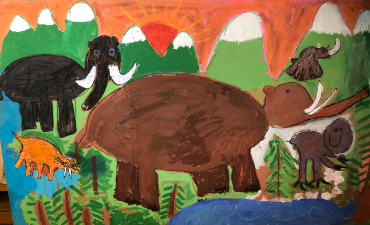 The integrated ceramics units taught to students at all elementary grade levels include connections to different world cultures and history. See more photos by selecting the link. 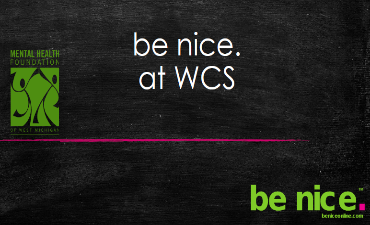 Williamston Community Schools officially launched Be Nice, a comprehensive, student-led mental health initiative. Kickoff events included assemblies at Williamston Middle School and Williamston High School as well as a parent night. Learn more by selecting the link. 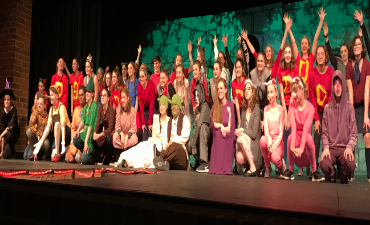 Williamston Middle School choir students performed Shrek Jr. over three nights at the McGoff Performing Arts Center. Select the link to see more photos from the show. 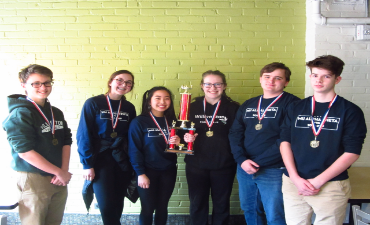 Two teams of 9th and 10th-grade students from Williamston High School earned first place in both their division and the overall competition at the Grand Rapids Community College 9/10 Math Challenge. Select the link to learn more. 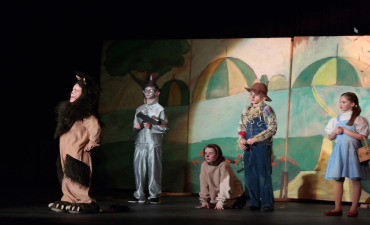 The Wizard of Oz was presented by students at Explorer Elementary, marking the 27th year of the 4th and 5th-grade play and service learning project. The two night show raises over $5,000 annually for the Williamston Food Bank. Read more about the production by selecting the link. 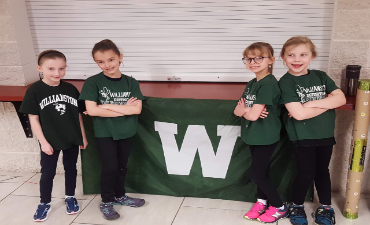 Williamston will field four elementary teams and one high school team in the Destination Imagination state finals at Michigan State University in April. The teams qualified after strong performances at the regional competitions held in Parma. Select the link to learn more about the teams. 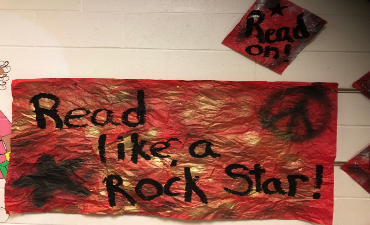 Explorer and Discovery Elementary Schools are celebrating March Is Reading Month by Reading Like Rockstars! Special literacy events will take place throughout the month, including the music-themed Family Reading Night event on Friday, March 15th. Select the link to learn more. 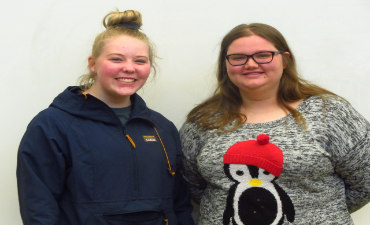 Three Williamston Middle School students have been named local winners in the 50th annual America & Me Essay Contest sponsored by Farm Bureau Insurance. 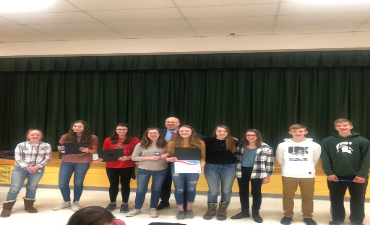 Students were awarded certificates for their achievements, with the first place winner advancing to the state competition. Select the link to learn more. 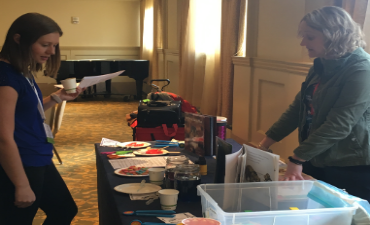 Williamston Community Schools were well represented at the 66th Annual Michigan Science Teachers Association Conference in Grand Rapids. 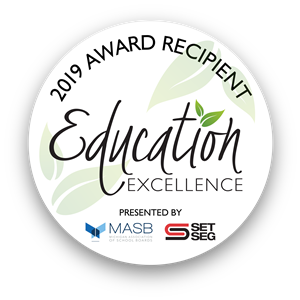 Learn more about the presentations and Williamston's role as a leader in STEAM education by selecting the link. 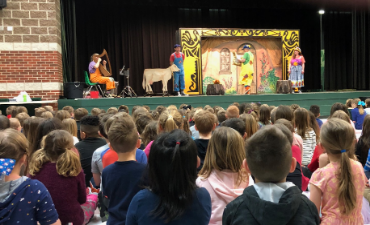 The Wild Swan Theater Company visited Discovery Elementary to perform "Jack and the Beanstalk" for students. The performances were sponsored by the WESPTSA. Select the link to learn more. Whether you are a long-time resident of the community or a prospective parent or student interested in learning about our school system, I invite you to explore our website to find out what makes WCS such an exceptional district. 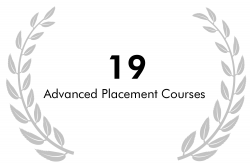 From our widely recognized early literacy programming to our unique variety of elementary related arts classes, engineering and robotics labs, award-winning bands, or 19 Advanced Placement courses, there is something for every learner here. The best way to know what makes Williamston so special is to experience it. 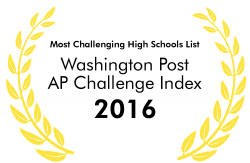 Visit our community, tour a school, and see for yourself what all the “buzz” is about. If you are already a community member, thank you for your support and commitment to our schools and students. See you around town! 8:05 AM - 11:20 AM High School Exams Half Day of Classes A.M. If you missed the parent orientation on March 5 please contact the Discovery office to schedule an enrollment session (517.655.2855). 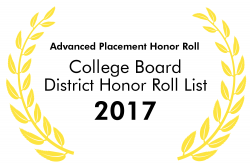 Enrollment forms are available online @ https://mi02209034.schoolwires.net/domain/215 or by clicking Enrollment Packet. Current Young Five students will automatically be enrolled for the 2019-20 school year, it is not necessary to attend these sessions. Read the procedures for closing schools due to weather or road conditions here. The 36th Annual Susan Lorenz Memorial Art Show is here! The artwork will be on display Monday, April 22 - Friday, April 26, in the High School gym. The winning artwork was purchased by the district for $150 and the award was presented during the Spring Arts Fest. The Spring Arts Fest will be Monday, April 22nd, 6-8 p.m. at Williamston High School. The School of Choice (SOC) window for the 2018-19 school year is now closed. Students living outside of the Williamston School District may apply to attend school in Williamston through the non-resident student application process. These applications are for the remainder of the 2018-19 school year. Please click here for the non-resident application. Please note that you must obtain a release from your home district as part of this application. The School of Choice window for the 2019-20 school year will be May 20-June 17, 2019. If you would like to receive an application please call our office and we will send you an application when the window opens. If you have questions please call 517-655-4361 x 5116. If you would like to tour a specific building, please contact them directly. 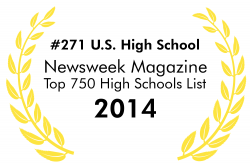 Learn more about Williamston Community Schools here. We have reviewed our School Board policies brought into issue by the allegations raised in plaintiffs’ Complaint. The School District does not believe that any constitutional or statutory right of any students or their families has been infringed upon in any manner. Our attorneys advise that they will bring a motion to dismiss the lawsuit in accordance with the Scheduling Order set by the Court. Read the District's motion to dismiss here. Stay up-to-date on WCS news by adding our Announcements, The Buzz, and Superintendent's Blog to your RSS feed. 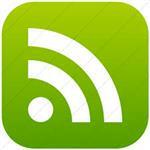 To do this just click on the RSS icon by the specific section headline and follow the instructions.